The Klingons could undergo yet another big change for Discovery season two. A major shakeup of Klingon culture was one of the biggest parts of Discovery’s first season—and part of that reinvention included an occasionally controversial redesign that included some radical departures from the Klingons that fans have known for decades. Now more changes are on the way—but they could be good news. ... In season two, you are going to see much different designs. You are going to see different houses you haven’t seen before. One of the most important things to us was that at this point in canon, as we head towards the current version of unification, the houses really each grow up on different planets. It is an Empire, it is not just Qo’noS… We have seen six of the great houses in close up in season one. As we move forward into the next season, I promise that we will continue exploring and unpacking and unfolding that infinitely interesting story of what the Klingon culture looks like on a wider level. Just how extensive the overhaul will be remains to be seen—it’s likely not going to be as drastic as the difference between the Klingons of old and Discovery’s current Qo’noS aesthetic. But Hetrick went on to tease that the look could bring back something diehard Trek fans lamented was absent from the new design: long, luxurious Klingon hair. There is this whole thing with hair and ritual and unification that was very much in the forefront of our mind when we were designing. It’s not an absolute confirmation that there’ll be some hairy Klingons in season two, but it’s a pretty heavy hint. Given that since the debut of the Discovery Klingons, there’s been plenty of fan manipulations trying to give them traditional Klingon hair that basically makes them look like the Klingons fans have known and loved for decades, it’d be a pretty crowd-pleasing compromise if that ends up being the case. 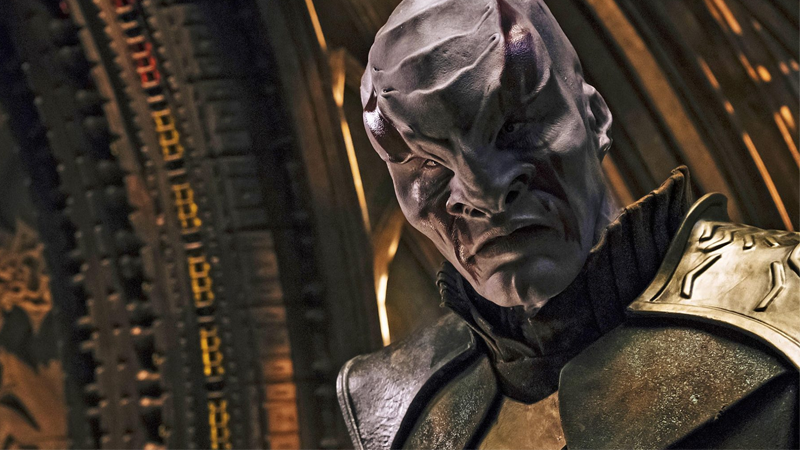 Since Discovery’s season two trailer didn’t give us so much as a glimpse at the Klingon characters, we’ll have to wait until closer to the show’s early 2019 return to see what Hetrick and his team have in store.